Bali is where beach lovers come to chase the endless summer and wave hunters to chase the swell. 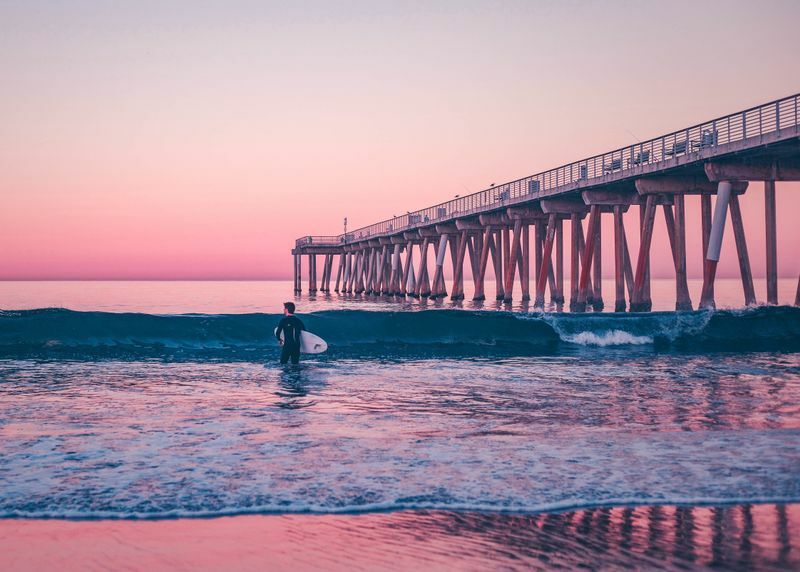 It has every kind of wave imaginable – from mellow surf breaks for beginners to powerful and hollow barrels for those looking for a challenge–, and a laid-back, surfer-friendly community throughout. Whether you’re looking to combine surfing with the pumping nightlife or would like to relax on an uncrowded beach away from the hustle and bustle of the touristy spots, you’ll be sure to find a surf camp in Bali that offers just that. Oh, and they’re easy on the pocket too! 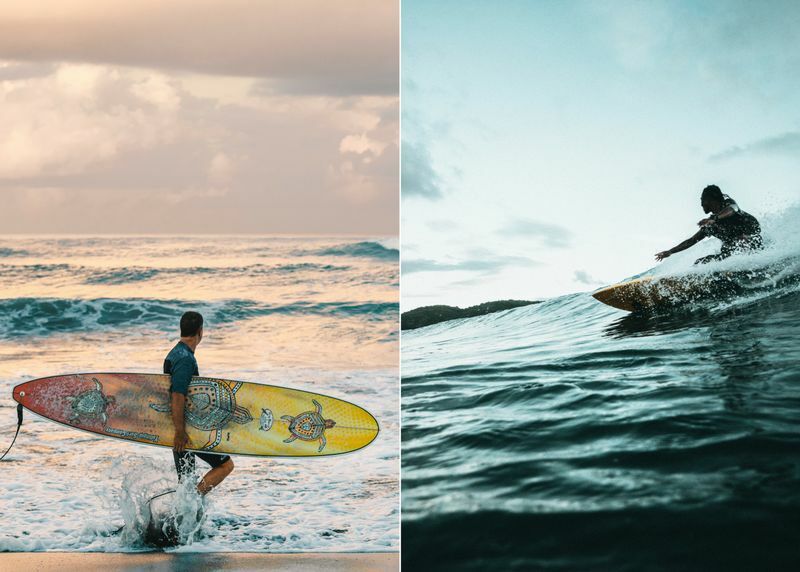 If you don’t come to Canggu as a surfer, you’ll surely leave as one! The most popular surfing destination in Bali, Canggu offers right and left reef breaks that are suitable for all levels all year round. Echo Beach, Perenan, and Batu Bolong may be at the center of the surf scene here, and you’ll get to those and more when joining a surf camp in Canggu. 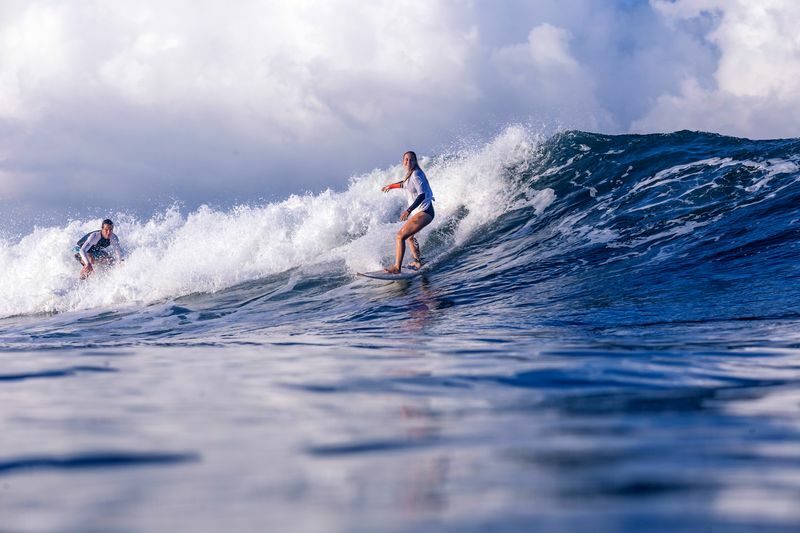 The In Da Surf Bali team welcomes first-timers, as well as more advanced surfers, with a surf camp that offers daily semi-private surf lessons (max. 2 surfers per instructor). Each day, you will be taken to the surf spots that are more suitable for your skill level. You will be filmed during the surf session and receive video analysis afterward. Surfboard and rash guard rental, daily breakfast, plus coffee, tea, and water included. An incredible surf & stay experience in southern Bali for beginners and intermediate surfers, Dawn Patrol Bali is located on the Bukit Peninsula, right between some of the best surf spots on the island. Learn to surf or take it to the next level in a fun and safe environment with personalized beginner and progressive surf lessons! This surf camp offers seven days of surf lessons or surf guiding, consisting of two hours each. Depending on your level and the conditions, you will get to ride some of Bali’s best waves, the likes of Balangan, Bingin, Dreamland, Uluwatu, Padang Padang, and Jimbaran. 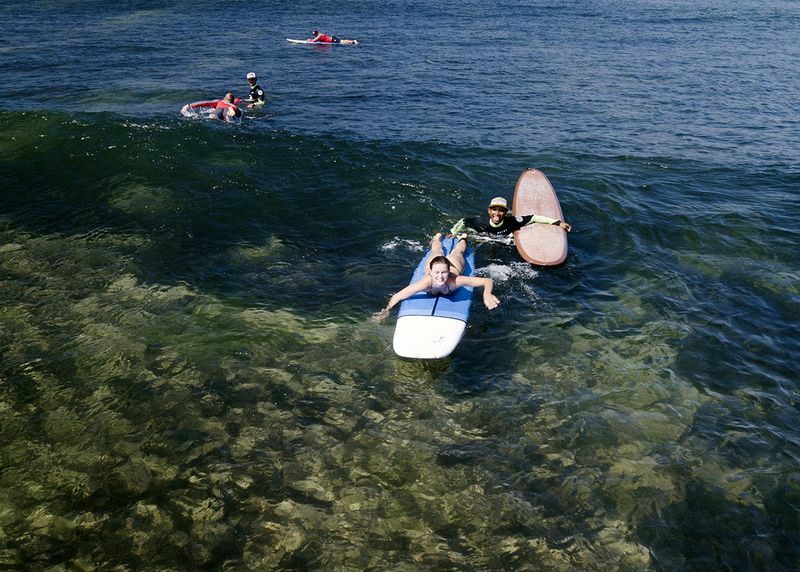 This surf camp includes six days of surf lessons in which you will paddle and catch waves alongside the instructor, who will be right at your side to guide you and give immediate feedback. There will be maximum two surfers per guide. You will be taken to the best surf spots in the Jembrana Regency according to their level. The instructors will help you catch your first wave (if you are a beginner) or improve your technique and learn how to assess the waves and make nifty maneuvers (if you are a progressing surfer). You’ll stay in a quiet little village, away from the crowds. The package also includes one surf trip with surf photos, one free T-shirt, daily breakfast with fresh juice, and free use of the camp’s surfboards during your stay. Located in Pererenan, just around the corner from Echo Beach in Canggu, the surf camp is surrounded by rice paddies, temples, and some of the world’s best waves. 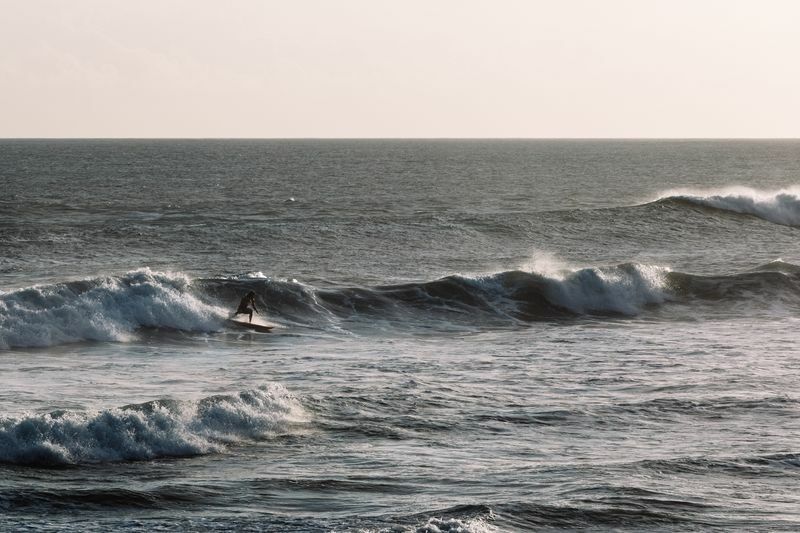 There are around eight surf spots in the immediate vicinity of the camp, suitable for all levels of surfers. Learn to surf in a friendly environment and with step-by-step instruction. This surf camp for beginners in Bali offers five surfing lessons in total. Daily breakfast and free shuttle to Kuta, Legian, and Seminyak on Fridays and Saturdays are included in the package. Join this budget surf camp in Bali and learn to surf in the fun and safe waves near Sanur, on the eastern Bukit Peninsula. The surf camp offers programs tailored for complete beginners (those who have never stepped foot on a surfboard before), progressing beginners (those who can surf in whitewater and would like to learn to catch unbroken waves), and intermediate surfers (who can surf in waist-high waves and would like to progress to catching head-high waves). Overall, you will learn how to move on the waves, how to turn, the proper surf etiquette, and how to read the waves. You will receive professional feedback and video performance analysis. Complimentary use of surfing equipment outside the lessons, as well as free use of bicycles and kayaks, are included in the package. Medewi, Bali’s longest left-hand wave, is an excellent spot for progressing surfers to enhance their skills. Medewi Surf School’s Silver Surfer package is designed for intermediate to advanced surfers looking to take it to the next level. Six days per week, twice a day, the instructors will take you to the best waves around Medewi. 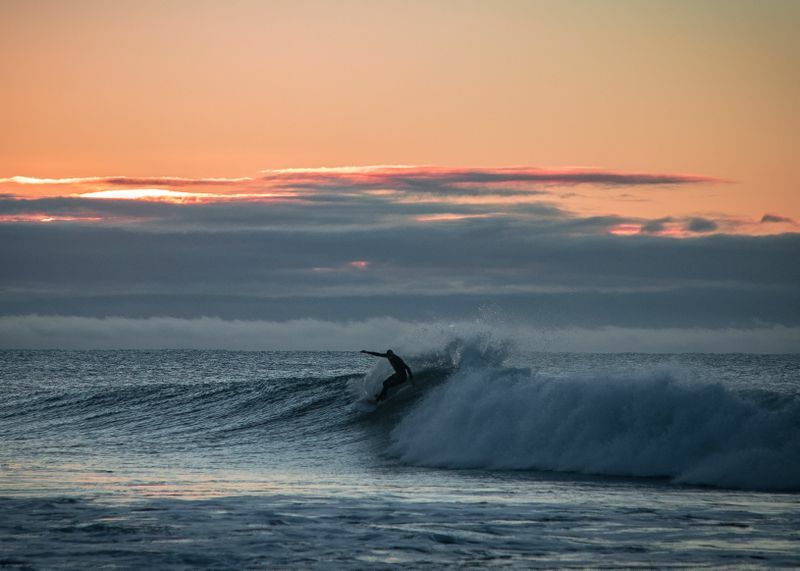 There are over a dozen surf spots within a 10-minute drive, which hardly ever get crowded. You will check out various point breaks, beach breaks, reef breaks, lefts and rights. The package includes two video coaching sessions with analysis, as well as daily breakfast. This budget surf camp in Kuta offers six surfing lessons, surf photo analysis, and a Sunday tour to Ubud or Uluwatu. You will stay in a little hotel in the heart of Kuta, only 200 meters from the famous Kuta Beach, with numerous surf breaks waiting at your doorstep. Endless Summer invites you to join a surfing program specifically designed for your level. You’ll be provided with the best equipment to match your skills. As you progress, the size and shape of your surfboard will change and you will get to try different types of surf breaks. One of the most experienced surf camps in Bali, Surf WG Bali specializes in surf training for all levels of surfers. Their goal is to see every single guest leave the island with a smile on their face. 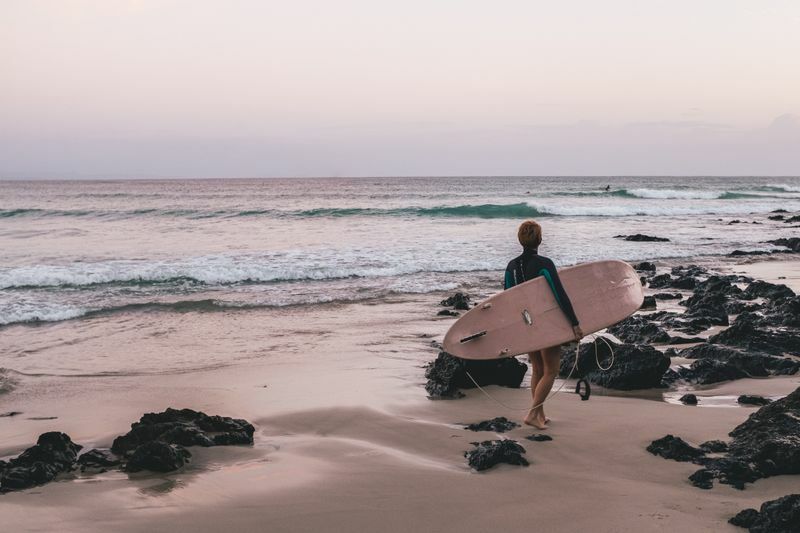 There will be two surf sessions each day – one in the morning and one in the afternoon – and there are 10 surf spots to choose from according to your skill level. The package also includes surfboard rental for the whole week, so you can surf to your heart’s content outside the lessons too. The campground is located in the middle of rice paddies, away from the busy streets of Canggu, promising an authentic Bali feeling. 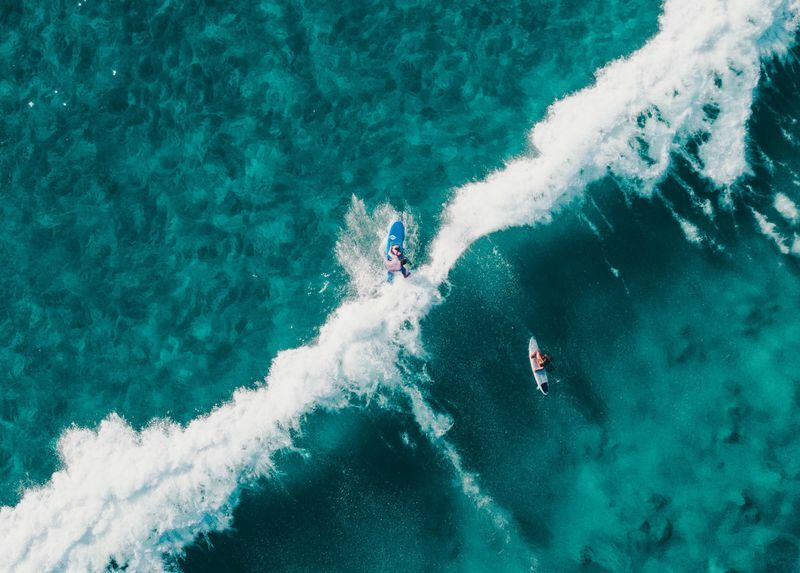 With so many surf camps for beginners in Bali to choose from, you can be on your way to catching your very first waves in a tropical paradise at any given time of the year!